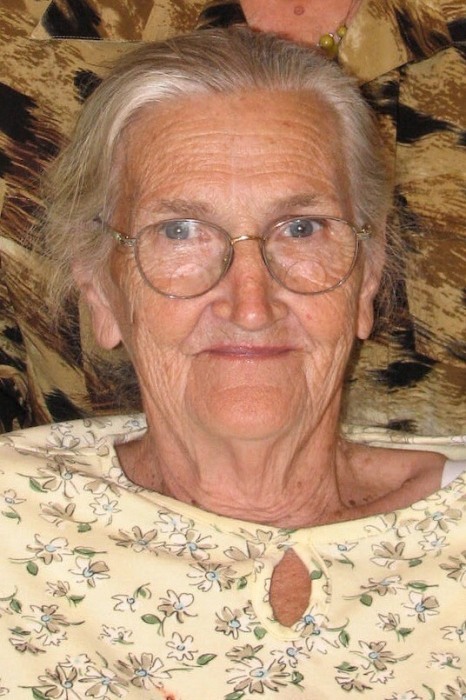 Evelyn Gouge Biddix, 83, of the South Toe Community, died suddenly from injuries sustained in a fall on Friday, February 1, 2019, at Mission Hospitals Memorial Campus. A native of Yancey County, she was a daughter of the late Herbert and Velma Roland Gouge, and the wife of Dayton Biddix who died in 2007. She was also preceded in death by a daughter: Betty Lou Miller; and, brothers: Merlo and Bobby Gouge. Evelyn was a faithful wife and stay at home mother, who devoted her entire life to raising her family and serving her community and church family. She was treasured and cherished, not only by her family, but also by the entire South Toe community. She enjoyed gardening, canning, bird watching, quilting, and reading, and had the most beautiful flower gardens in the neighborhood. She and her late husband, Dayton, built a legacy of faith and strong family values that extends through several generations. She will live on forever in our hearts. Surviving are her children: Calvin Biddix and wife, Nancy, of Kelso, WA, Steve Biddix and wife, Linda, Rita Hudgins and husband, Joe, Tommy Biddix and wife, Marie, and Lewis Biddix and wife, Deborah, all of Burnsville, Wade Biddix and wife, Joanne, of Richmond, VA, Pamela Saenz and husband, Diego, of Atlanta, GA, Norma Melton and husband, Kevin, of Spruce Pine, and Karen Wood and husband, David, of Marion; 3 sisters: Virginia Harrison, Genevieve Autrey-Jenkins and husband, Les, and Ila Marie Ledford, all of Burnsville; 30 grandchildren; 29 great grandchildren; 6 great, great grandchildren; and numerous nieces and nephews. Funeral services will be held at 2PM Monday in the Chapel of Holcombe Brothers Funeral Home. Revs. Charles Ray Carroll and Trent Honeycutt will officiate. Burial will be in the Westall Cemetery. Grandsons will be pallbearers. The family will receive friends from 12 Noon until 2PM Monday prior to the service at the funeral home.